Our philosophy has always been to offer the most competitive rates possible by putting our clients on the interchange plus pricing platform. That means we’re willing to earn less of a profit on your account than our competitors. Why do we do it? Simple. If there isn’t a better price, you’ll never change! Our reputation speaks for itself. An A+ rating with the BBB comes from years of taking care of business the right way. Our account management representatives are educated and competent. You’ll get straight answers from people who want to help and care about your company’s success. We measure success by how quickly and easily we identify and fix problems! Cutting edge technology offerings include countertop point of sale hardware and software, tablet point of sale software, mobile point of sale software, traditional stand alone terminals and pin pads, as well as card readers which plug into the audio jack of your smartphone. 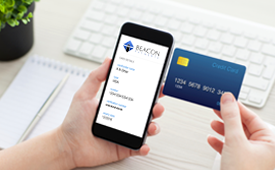 Whether you’re starting your company today, or your enterprise is looking for a better payment solution we’ve got what you need! Our core products are credit/debit card processing services and equipment, payroll processing with tax filing, and alternative sources for accessing business capital.